Hey guys! I hope you all had a good Mother’s Day. 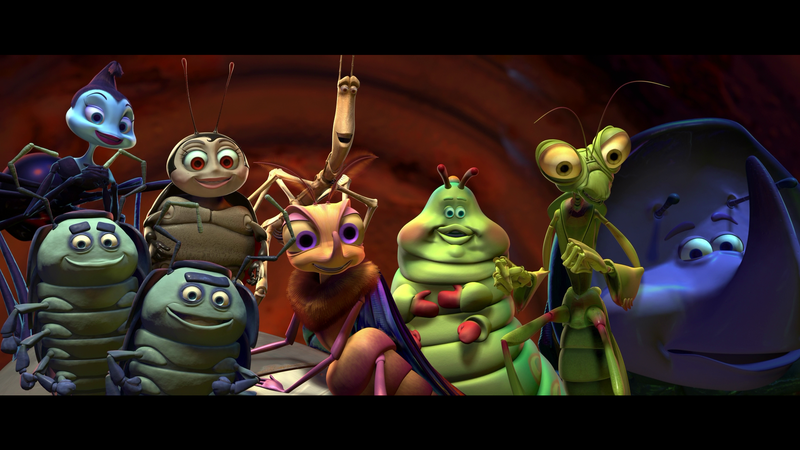 Let’s celebrate by talking about what I think is an underrated Pixar film, A Bug’s Life. After the epicness of Toy Story Pixar’s second feature had a lot to live up too. To add to the tension was the premiere of Dreamworks Antz that same summer which I reviewed last week. With all of that pressure I think they came up with a charming movie with some lovely animation and nice messages for kids. Is it perfect? No but if it was the only Pixar movie I’d still say it was a strong effort. A lot of people criticize Bug’s Life because it is a formula picture. It tells a story of the oddball character who is sent on a journey where in the end he is finally shown to be special. This is an especially popular formula because of all the writers who no doubt have a similar journey. We also get the liar reveal which we see in lots of movies. If all that is true then why do I say it’s underrated? Because I think a film doesn’t necessarily have to be original to win an endorsement from me. A movie can follow a formula but do it well and that’s great. One of my favorite movies of all time is You’ve Got Mail and that is a total formula picture. It works because the writing is good and the characters are easy for me to relate too. I think you can say the same for A Bug’s Life. 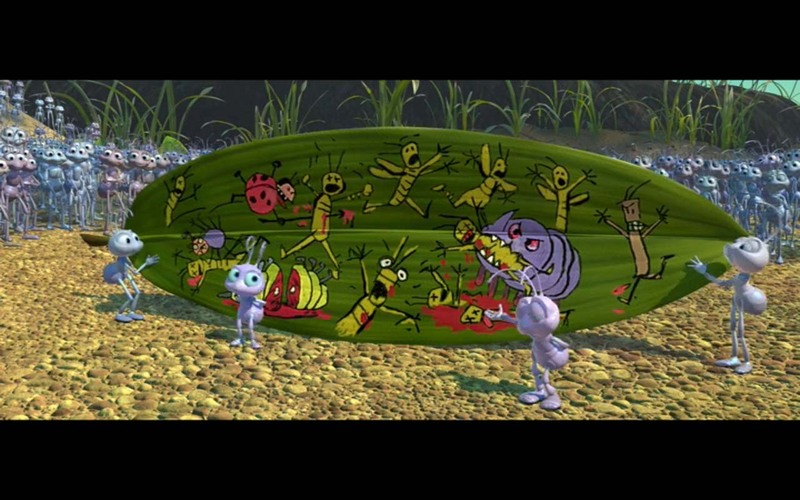 A Bug’s Life is about a colony of ants that live by a tree surrounded by water called Ant Island. They are a timid species and afraid of any kind of change (even the great twig of 93!). 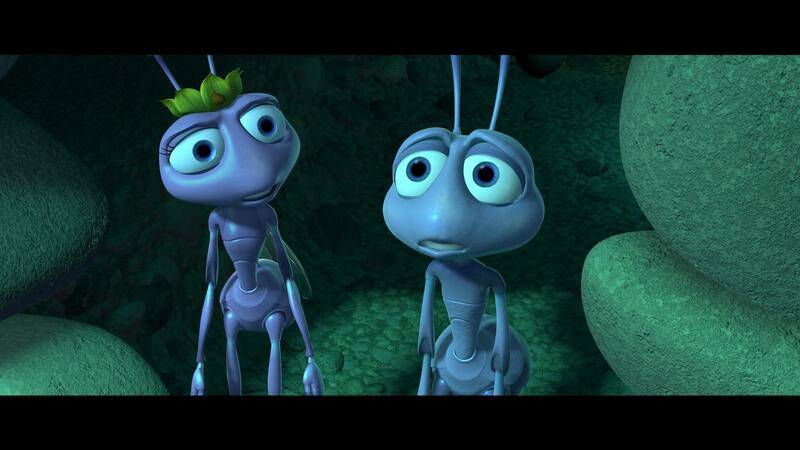 Except for one ant named Flick voiced by Dave Foley who is an innovator and is trying to make things better. The ants are ruled with an iron fist by a grasshopper named Hopper voiced perfectly by Kevin Spacey. He intimidates them to giving an ‘offering’ every year of food, so it basically works out to servitude but the ants are too scared to fight back. 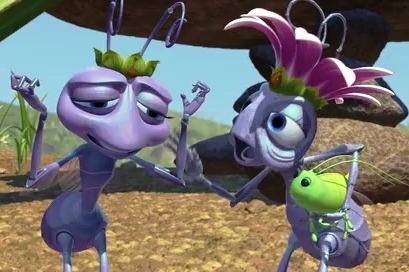 The ants have their own leadership- a queen voiced by Phyllis Diller and her daughter Princess Atta voiced by Julia Louis- Dreyfus who are both great and 2 of the more dynamic Pixar female characters we see for a long time. We also get little princess Dot voiced by Hayden Panettiere. Eventually Flick screws up the offering and he is sent away on a seemingly fools errand of finding bigger bugs to help defend the colony. Through various circumstances Flick stumbles on to a troop of circus bugs he mistakes for warriors and they return to the ant colony. The troop is a total delight with great vocal performances and really funny writing with characters like Francis the ladybug that’s actually a dude (and voiced by Dennis Leary which is so perfect!). 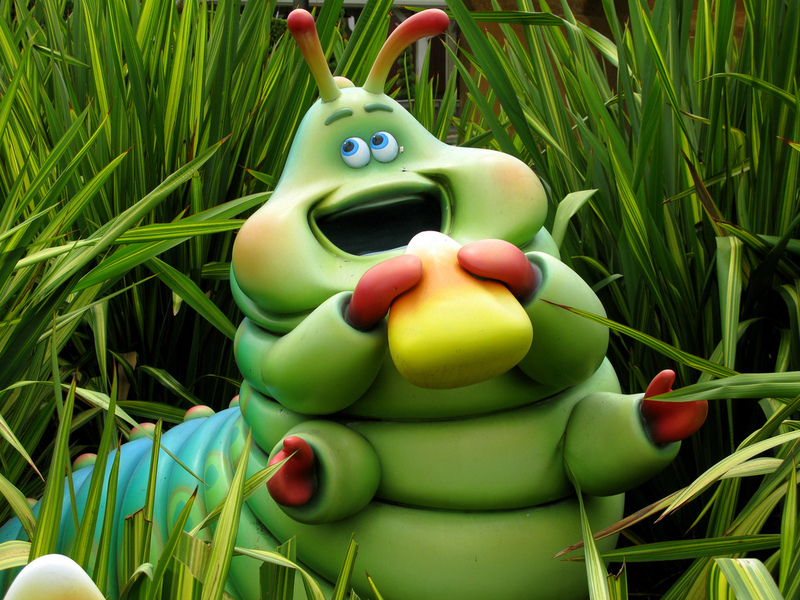 I also love Heimlich the German caterpillar who dreams of being a beautiful butterfly ‘and then everything will be better’. Joe Ranft, who was an animator at the time, did the voice and he gets a laugh from me every time he is on screen. 1. It’s bright and colorful. It looks great and every scene has texture unlike the brown, brown, brown of Antz. The soil looks like little craters and the grass looks like giant trees because we are seeing it from a bug’s perspective. 2. The voice cast is great. It runs so deep with everyone from Madaline Kahn, Bonnie Hunt, Brad Garrett, Richard Kind and more. 3. Hopper is a terrific villain that is menacing and extremely scary from the point of view of the ants. He also has some great sarcastic remarks. 4. The writing all around is really good. It elevates the more ordinary material. There are a lot of laughs and genuine moments of heart . I particularly like when Flick is trying to convince Dot that she’s just a seed using a rock. I also really like a scene where the ant children put on a little play letting the circus bugs know what they expect. It’s very funny. 5. The score is some of Randy Newman’s best. I know a lot of people deride Newman but I like his cheerful style and found this to be just the right tone for the story they were telling. The finale song is also great. One of his best. And that’s enough for me to give it a hearty recommendation. It’s bright colorful, sweet time at the movies. And it’s a movie that will appeal equally to little girls and boys, which can sometimes be hard to find. Overall I give it a B. 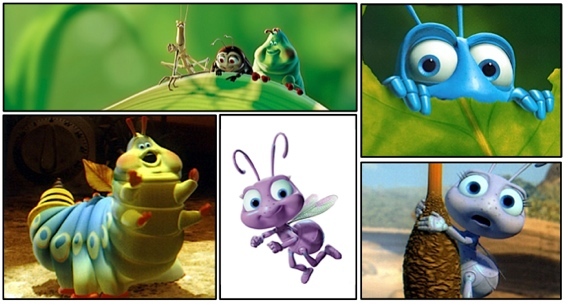 They ended off Bug’s Life with this very cute ‘outtakes’ segment which was kind of a thing in the 90s but I enjoy it. I always say the “A Bugs Life” is “The Aristocats” of Pixar. It doesn’t have a really good story and is in a lot of ways very mediocre. But it has colourful characters and nice moments which make it work as long as you are in the right mind-set to watch it. It is, in the end, a perfectly serviceable movie. Just not for Pixar. Pixar is supposed to deliver a challenging one. I’m reading over this again and it is not very well written. Sorry guys. For some reason I really struggled writing this review. It took me like 4 days. I will work on editing it and making it better. Thanks for still reading! This really is an underrated film. I just love the message of how people who are oppressed need to stand up to their oppressors. I dunno. If the Toy Story films weren’t so great, I still think A Bug’s Life would be overshadowed by Finding Nemo, Up, Wall-E, Incredibles, etc. Very true. They were just surrounded by Toy Story 1 and 2 so I think it gets a little forgotten. It shows you what a hit streak Pixar had when a quality movie like A Bug’s Life is often overlooked. I hope they get that back with Inside Out! Get what back with Inside Out? A hit streak or a quality movie? Hit streak. Their last few movies I have enjoyed and been profitable but not the hits at the box office they once had or the masterpieces quality-wise. I would just love it to be an epic movie like Finding Nemo and I’m getting those vibes. I guess the way that I feel about it is A Bug’s Life is fine, it’s just not anything special for me. As you said, it has a lot to live up to in the Pixar world, and I just nejoy most of the other Pixar films more than this one. It’s a good movie, just not my favorite. Awesome review once again. True, this film isn’t perfect, but is definitely an enjoyable film nonetheless. I agree. I really enjoy it! Pingback: Pixar Review 8: Geri’s Game | Reviewing All 54 Disney Animated Films And More! I agree 100 percent with you when it comes to this film. Sure, it is not anything special and unique, but it is still a very well-written, well-handled, engaging story with engaging characters, nice animation, and a suitable soundtrack. It seems like people put down this film because of the current reputation Pixar has, but some forget that this was only their second film, and when it was released, there was not much criticism. It is like those films that are very well received during its initial release, but it fades due to the reputation of the studio’s successive films. I think you are right and I think the whole Antz debacle causes people to get the two confused or think they are both as good. With the rest of the Pixar movies there isn’t really competition like that except for maybe Shark Tale which pretty much everyone thinks is way worse than Finding Nemo. I think if people gave it a rewatch they would realize how entertaining it is. Agreed! I hope that films Frozen don’t end up fading due to the reputation of Disney’s future Animated Features. That was suppose to say *I hope films like Frozen don’t end up fading due to the reputation of Disney’s future Animated Features. I think there is little chance of that being Frozen is first Disney film in 20 years to get a sequel. I actually see people coming back to it and realizing it is better than they initially thought. The overhype folks I think may end up really loving it. We’ll see. I used to go through phases of enjoying and not liking ‘A Bug’s Life’, even feeling that it paled in comparison to the Toy Story films, Monster’s Inc and Finding Nemo, eventually ignoring it over time. I don’t think it’s as disliked as the ‘Cars’ movies but nobody regarded it as a “Phantom Menace” sort of let-down. A film that has done something that has already been done before is not automatically a bad thing, but the problem for me was the Ant colony. 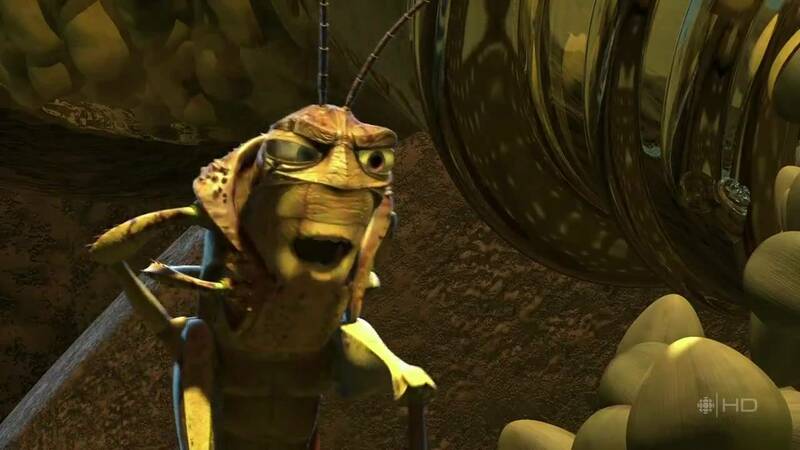 They never seemed like a group of characters who really deserved to be saved, not just with the liar reveal resulting in Flick being banished, but even from the beginning most of the ants treat Flick badly for his creativity. All of Flick’s inventions are actually successful, and the mere fact that he is different or perhaps smarter than the other ants doesn’t really make him stand out or make us want Flick save the colony. But because the ants aren’t the focus, we don’t get a sense that they come to accept or even like Flick. When I looked back on it, I think it is ultimately a pleasant and enjoyable film, but there were some problems in story and character execution that holds it back from being a masterpiece. It is indeed visually pleasing and rather cute, and the comedy often hits home. For me, the circus bugs and their chemistry, and Hopper as a dastardly villain makes the film for me, Kevin Spacey’s vocal performance is outstanding. But in the end, the film throws a lot of interesting ideas and characters out that aren’t very well developed, weakening the film in a lot of people’s eyes. 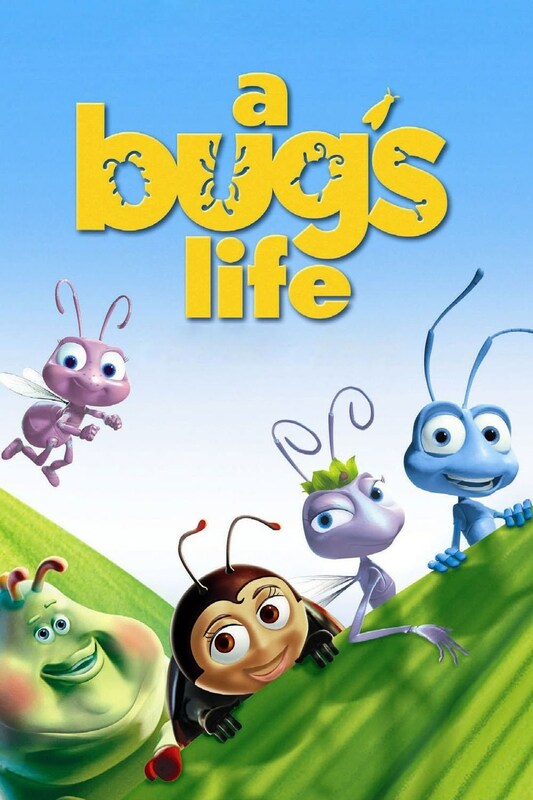 But with all that said, ‘A Bug’s Life’ was an important film for Pixar to grow and help craft all the great stories that they would later unveil. I pretty much agree with you. It isn’t the most creative story in the world but I think it is enjoyable nonetheless. I would say it is underrated Pixar not because it is so great but because it is forgotten when it is a solid entertaining movie. I really like little Dot and Flick’s interactions ‘It’s a rock!’. That still makes me laugh. I guess to be fair most kids haven’t seen a lot of those formula stories so to them it might feel fresh and new? Either way good vocal performances, great villain, and a lot of laughs make it an entertaining film. Pingback: Ranking Pixar Movies | Reviewing All 54 Disney Animated Films And More! Pingback: Dreamworks 5: Antz – Reviewing All 56 Disney Animated Films And More!